Our Online Digital Printing option is designed for those who are after a fabric printing method that is simple, easy and seamless. After an extra level of service in addition to fabric printing or have an order that’s a bit too complex to dissect yourself? Choose One on One service. For the professionals who need consistency and a partner they can count on, we offer Bulk fabric printing for trade. 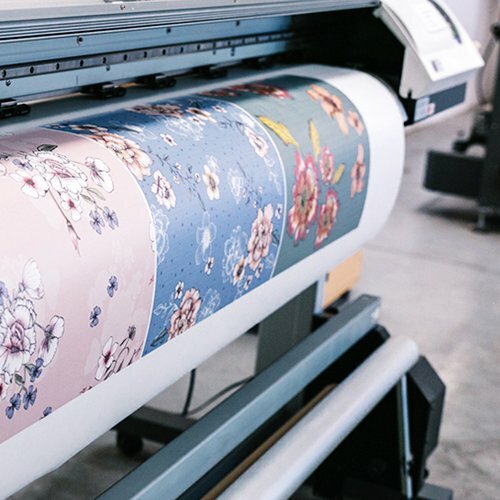 Equipped with the latest advances in digital textile printing technology, and backed with a wealth of knowledge in all phases of textile design and printing, at Digital Fabrics, we make printing your quality fabrics simple so that you can dream up the ideas for your next textile adventure. Just how simple are we talking? Got a creative idea? 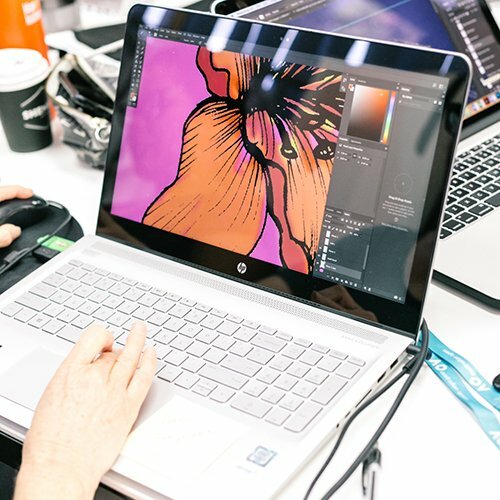 Have a design an mind? Prepare your design file for digital fabric printing using the tips we have provided here. With artwork design in mind, we then look into the fabric! We've got a range of fabrics for printing to suit every weird, vibrant and wonderful idea you can throw at us: from canvas to chiffon. You will find more details on our selection here. What if Cotton Linen and Cotton Drill sounds exactly the same to me? Not an issue! 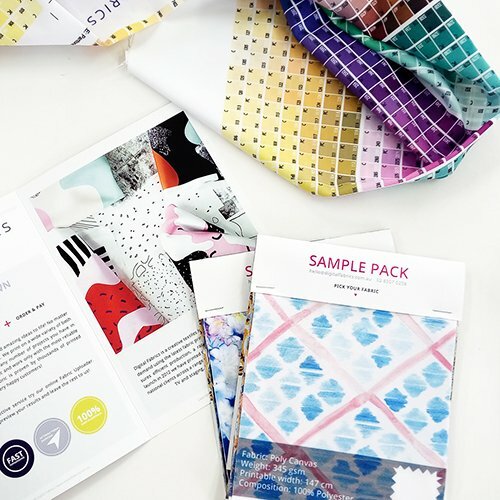 You can order a sample pack of tangible fabric samples pre-printed so you can see not only how the fabric takes the colours, but how it feels and do testings as you please. As soon as you've received your fabric print order confirmation, we'll start printing it while you put your feet up and relax. 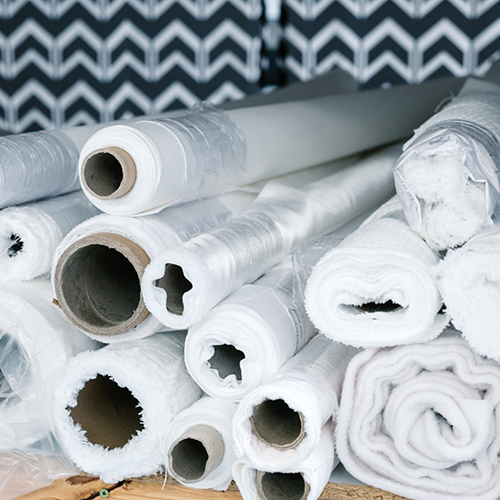 Once they have completed printing, your printed fabrics will be shipped to you via courier or you can simply pick them up from our warehouse. DO YOU HAVE QUESTIONS UNANSWERED?